Xenical is a prescription diet pill with the active ingredient orlistat. While it's not a magic diet pill that melts fat away, it is prescribed for individuals with weight problems that puts them at greater health risks. Xenical diet pill are designed to help obese individuals who fit a certain weight requirement to lose weight. Xenical is generally prescribed to person with a Body Mass Index (BMI) of 30 or higher. 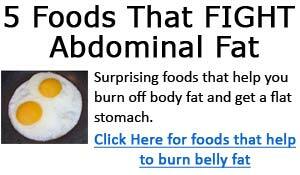 An enzyme in the digestive system called lipase helps break down fat. When Xenical diet pills are taken with meals, it attaches to the lipase and prevents this enzyme from breaking down some of the fat your consumed. 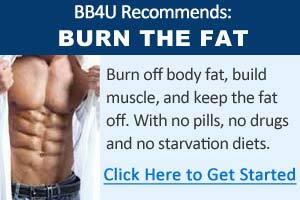 The undigested fat is not absorbed and is removed by your bowel movements. Xenical may interfere with the absorption of some fat soluble vitamins and beta carotene. So it's recommended to take a multivitamin supplement that contains vitamin D, vitamin E, vitamin K, and beta carotene. There are numerous studies done on Orlistat (Xenical) to show its effectiveness in blocking fat and helping weight loss. Below are several such studies. Finer N, James WP, Kopelman PG, Lean ME, Williams G.
Centre for Obesity Research, Luton and Dunstable Hospital, UK. Summary: The study assessed the efficacy and tolerability of Orlistat (Xenical) in producing and maintaining weight loss over a 12 month period with 228 obese adult patients having a BMI between 30 and 43. Patients were treated with 120mg orlistat of placebo three times daily combined with a low calorie diet, with no more than 30% of the calories coming from fat. Their diet were designed to produce a calorie deficit of 600 kcal/day. After 1 year of treatment, the Orlistat patients lost an average of 8.5% of initial body weight compared to 5.4% of the placebo group. The Xenical Orlistat group showed significant decrease in serum levels of total cholesterol and low density lipoprotein cholesterol. The Xenical group also experienced 26% more gastrointestinal events more than the placebo group. The research also found that after 1 year, the decrease in vitamin E and beta carotene was significantly greater in the Orlistat group. They concluded that combining Xenical with a reduced calorie diet produced greater weight loss, and that fat soluble vitamin supplements maybe required while taking Orlistat. James WP, Avenell A, Broom J, Whitehead J.
Rowett Research Institute, Bucksburn, Aberdeen. Summary: This study was designed to assess the efficacy and tolerability of Orlistat 120mg as a weight loss pill compared to a calorie reduced diet alone. Patients 18 or older with BMI between 30 and 43 were placed on calorie reduced diets taking either Orlistat or a placebo 3 times a day for 52 weeks. The study found a 5.5kg reduction in body weight of the placebo group compared to an average 8.6kg reduction in body weight of the orlistat group. They also found that the placebo group tended to gain some weight back, whereas the Xenical Orlistat group maintained their weight loss. The orlistat group also experienced a total LDL cholesterol drop by 4.2%. However, the researchers noted that the orlistat group experienced increase in intestinal symptoms, but were well tolerated. They concluded that taking Xenical diet pill with a healthy, low calorie diet confers advantages in long term management of obesity. Randomised placebo-controlled trial of orlistat for weight loss and prevention of weight regain in obese patients. Sjostrom L, Rissanen A, Andersen T, Boldrin M, Golay A, Koppeschaar HP, Krempf M.
Summary: The study involved 743 patients in a randomised trail over a 2 year period treated with 120mg Xenical or a placebo. The patients followed a reduced calorie diet with a 600 kcal/day deficit. The study found that in year 1, the Orlistat group lost on average 10.2% body weight compared to 6.1% loss for the placebo group. During year 2, they found that patients who continued with Orlistat regained half as much weight compared to the placebo group. Total and LDL cholesterol levels also reduced more in the orlistat group, who also experienced more gastrointestinal events compared to placebo group. They concluded that taking Xenical Orlistat with a healthy diet promotes significant weight loss and reduces weight re-gain after a 2 year period.